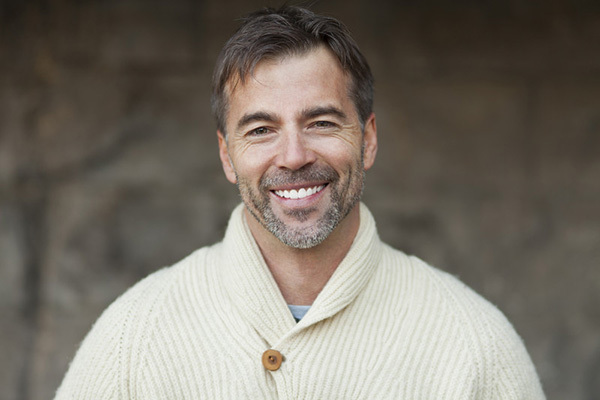 The foundation of our 4 Day Intensive Outpatient Alcohol Treatment for Men is your life and the principles of self-awareness and self-empowerment. During the course of individual sessions with both Dr. Barnes and Dr. Wilson – sessions which may include your spouse or other significant people at your discretion – we will explore your reasons for abusing alcohol and how to develop, your skills, interests, and competence to make more productive choices. Initially, usually Monday morning, we will examine your current drinking patterns and related problems, but we will not dwell on the past beyond exploring the conditions underlying your misuse of alcohol: boredom, anger, loneliness, anxiety, grief, pain, and so on. Remember, alcohol abuse is a symptom of these unresolved underlying conditions. It is not a “disease,” it is a destructive, if attractive, choice which you can “un-choose” at any time. We will provide you with a copy of our Resource Guide which includes information and assignments which augment the work done in session and provide structure for the following days and weeks. While typical programs read their “Big Book” to you and do “The Steps,” we customize design assignments and reading material to fit your unique circumstances and desired outcomes. You will also be asked to complete Dr. Jane Loevinger’s Washington University Sentence Completion Test. Dr. Wilson has interpreted over 5,000 of these protocols over the past 25 years in dozens of settings including the U.S. Navy and Coast Guard, the Iowa Medical School, the University of Maryland, and in dozens of diverse research applications and projects. It helps in identifying many contributing factors in both individuals and couples as well as suggesting effective approaches. Typically, the first day’s activities will conclude with a scheduled appointment with consulting physician Tim Norcross, D.O, for evaluation of the use of anti-craving medication and any discomfort that may be associated with withdrawal. Tuesday focuses on the present, including a discussion of your particular Washington Sentence Completion Test results and how this relates to your alcohol abuse. We will also begin creating a “Cost/ Benefit Analysis” of your drinking and not drinking – both as they apply to you, but also to spouses, co-workers, relatives, friends, and others in your everyday life. Wednesday begins with the development of goals for how you would like to improve your life. We will work with you in the areas of education, vocation, marriage, health, recreation, social life, and so on, and which of these areas are satisfactory and which need attention. Once desired changes have been identified, we focus on developing systems for accomplishing your goals. Thursday includes an examination of your family relationships, work relationships, friends and activities. We’ll look at who will be supportive and who may not be and how to deal with the conscious and unconscious sabotage by those around you. When spouses are involved, or when we are treating you as a couple, we will discuss positive ways to be supportive as well as what to avoid. On Friday the intensive outpatient alcohol treatment for men portion of the program concludes with the integration of the previous days work into a concrete plan for the coming weeks. Remember, problems get fixed in your day-to-day life or they do not get fixed. This is the primary reason traditional treatment fails and our program does not. No, we do not push you out the door with the injunction, “Don’t drink. Go to AA.” Instead, recognizing that you’ve invested a lot in your success, we want to make sure it happens! Behavior change takes place in the course of your everyday life. This being the case, we schedule weekly 1 hour sessions with you, and also provide reasonably unlimited phone and e-mail access from 8:00-8:00 daily. Significant changes result in other unforeseen consequences, positive and negative, and you deserve to get the coaching, reassurance, and perspective you need. We’re available to provide that – another benefit no other program even attempts to offer. Yes, it works. Because together we have invested the time and focus, undistracted by groups or myths or hidden agendas, we now have the professional relationship necessary to continue working together regardless of the geographic distances involved. Wherever you are across the U.S., Canada, India, South Africa, New Zealand, Australia, the Philippines, or wherever else our next client may come from, we’re as close as your phone or Skype. Nothing is as important as the professional and personal investment we make with you and our mutual investment in your full, permanent recovery from alcohol abuse. We are the only team in U.S. providing the highly effective solutions we have developed from our decades of experience, research, and client input. Click here for more information about Alcohol Treatment For Men. Click here for more information about AA Alternative/Non 12 Step Outpatient Alcohol Treatment For Men. Click here for more information on Confidential Outpatient Alcohol Treatment For Men.